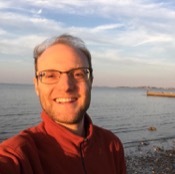 Local Private Tour Guide | Boston, United States | Joshua L.
I'm Josh, and it would be my pleasure to welcome you to Boston, the perfect walking city! I grew up here, and I love my hometown because of its fascinating history and incredible beauty. Boston has an embarrassment of riches, and I'm passionate about introducing visitors to everything from our classic spots to the hidden gems of Boston and Cambridge. Professionally, I am a designer of extraordinary experiences — in addition to tour guiding in the Boston area, I work as an educator and facilitator, actor and theatre director, historical interpreter, and international trip leader. I have a master's degree in theatre and education, and my storytelling savvy makes Boston's history and culture come alive! I am also a fluent Spanish speaker, having been a Fulbright Fellow in Colombia studying theatre, and led trips throughout Latin America for high school and college students. I am happy to deliver any of my tours in Spanish or English. I'm always taking advantage of Boston's vibrant arts and culture scene. I perform improv comedy and sing in a gospel choir, and go to open studios and museums all the time. I enjoy introducing visitors to the abundant cultural offerings here, from theatre and music to visual arts and dance. I also love the Celtics and Red Sox, but I swear I won't hold it against any of you Yankees fans out there…my dad is from New York, after all! 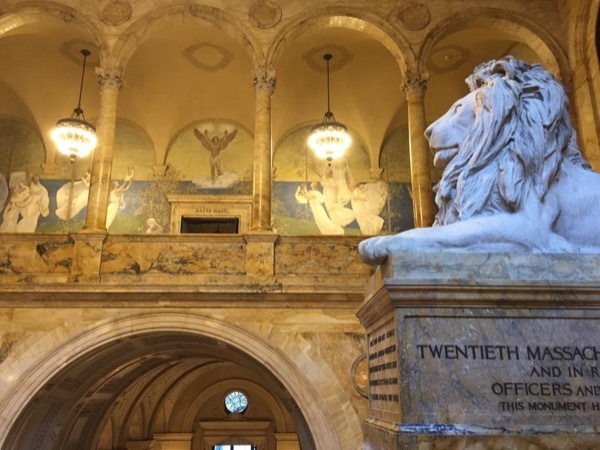 As a tour guide, I love revealing the rich layers of history and illuminating architectural masterpieces that exist along the Freedom Trail and beyond. From Native Americans to Puritans and witches in the 1600s; revolutionaries and Sons of Liberty in the colonial 1700s; Civil War heroes, literary superstars, and globetrotting sailors in the 1800s; mobsters, Kennedys, and Boston Brahmins in the 1900s; Boston's sports successes and futuristic advances in science and technology coming out of Harvard and MIT in the 2000s; literally anyplace that you stand in this dynamic city has fascinating stories to tell. The foodie scene is also tremendous! I relish (my jokes are usually better than that, I swear! :) introducing visitors to the deliciousness that abounds here, from classics like waterfront lobster rolls and heirloom apple cider at city farmers markets, to unique tastes like shakshuka at innovative boutique cafes and pastries at the best Italian bakeries hidden down back alleys in the North End. Another of my favorite things to do as a tour guide is create customized adventures around the region, from Boston and Cambridge walking tours to excursions out to fascinating historic and scenic spots like Salem, Plymouth, Lexington and Concord; architectural gems like the Boston Public Library; universities like Harvard and MIT; and places where nature's beauty shines, like Frederic Law Olmsted's masterful Mt. Auburn Cemetery. I also enjoy curating guided visits to our extraordinary museums, featuring one-of-a-kind treasures of art, history, archaeology, and science. Popular ones include the Isabella Stewart Gardner, the MFA, and the Harvard Museum of Natural History. I connect really well with everyone from seniors to families with kids, and clients tell me that my passion and excitement is contagious! If you're also curious about the world around you, love a good story and a good laugh, and appreciate the finer things in life, we'll definitely enjoy each other's company. I look forward to helping you craft your dream Boston area experience! Fantastic afternoon with Josh! His enthusiasm for Boston's recent and past history was contagious. My family and I thoroughly enjoyed our afternoon with him. Highly recommend his services. I am not a commercially licensed driver. If you wish to take a driving tour, I can either accompany you in your rented vehicle, or I can arrange for an insured car and driver. 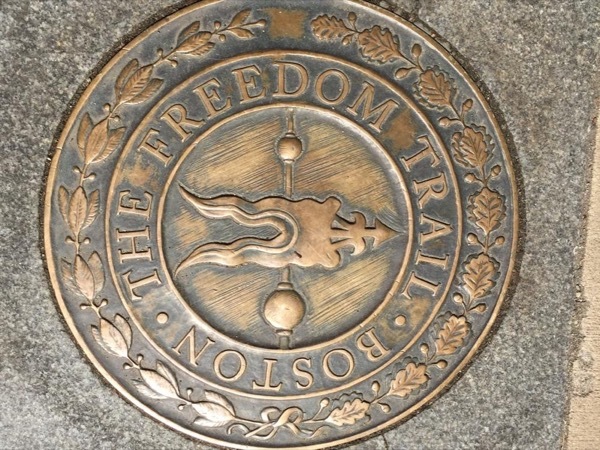 The Road to Liberty in Historic Downtown Boston- Customizable! Hubs of Innovation, Power, and Discovery- Customizable Tour!